Born in Washington D.C. as Margot Tryntje Ostrander, she moved to Berlin with her family at the age of nine. For the next six years she lived throughout Europe, as her father was stationed in Germany, France, Austria, and England. 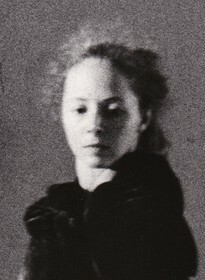 While in Paris, Tryntje began dancing, studying under the Russian Ballerina Olga Preobrajenska. At the age of 15, Tryntje and her family returned to the states, and lived in Chappaqua, NY. 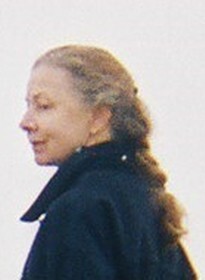 Tryntje met her future Husband, Omar Shapli, in 1959 while studying dance at Bennington College in Vermont. Tryntje and Omar were married on Cape Cod on June 18th, 1961. Tryntje showed tremendous strength and grace while fighting pancreatic cancer and other complications during the last nine months of her life, and her magic nature remained strong, as evidenced by the impact she had on her caregivers. She died peacefully at Berkshire Medical Center with one of her sons by her side. She is survived by her three sons Tarik, Alaric, and Zachary, two grandsons Ivan and Isaac, two brothers Frank and Chrys, her dog Blix, and two cats Bramble and Luna. FUNERAL NOTICE: A private graveside service will be held at a later date. Memorial donations may be made to the Lustgarten Foundation for Pancreatic Cancer Research (https://www.lustgarten.org/) or Doctors Without Borders (https://www.doctorswithoutborders.org/). To add to the Book of Memories, please visit www.flynndagnolifuneralhomes.com.